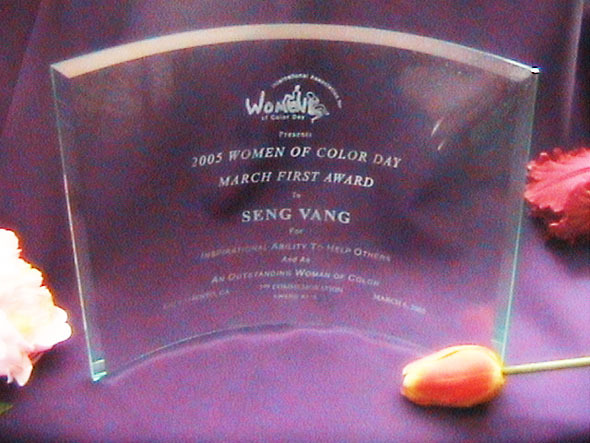 Honorees at Women of Color Day events are given "Official" numbered plaques, The plaques are 9 x 12 inches, made of heavy jade glass, handcrafted with beveled edges. Plaques may be ordered for any Women of Color Day event. Plaques will be personally inscribed as ordered. Inscriptions are limited to name of honoree and reason for award. Price: $99.00 plus shipping and handling within USA. * All shipping and handling charges quoted are for the US order only. Please contact us for the international shipping and handling charges by sending us an e-mail.